Motherhood. Joy and exhaustion. 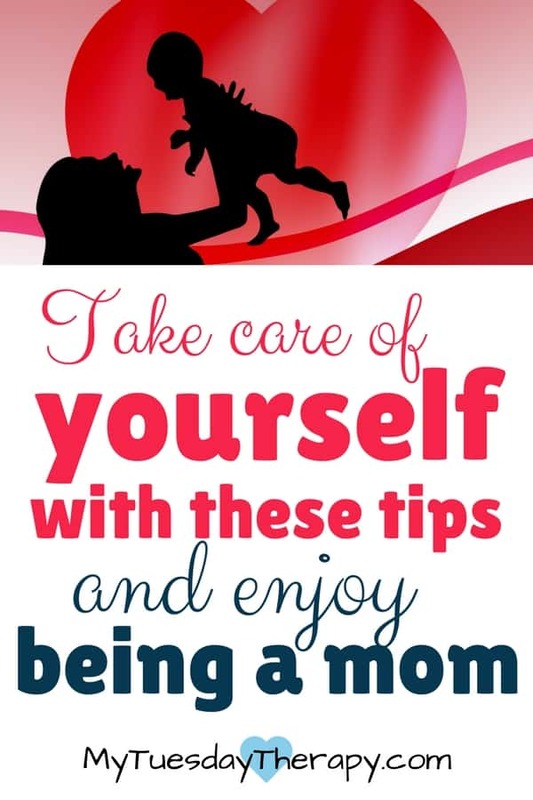 It is so important that you take care of yourself as a mom and wife. The demands can be pretty high and it is so easy to forget to do the little things that would help you to keep going. 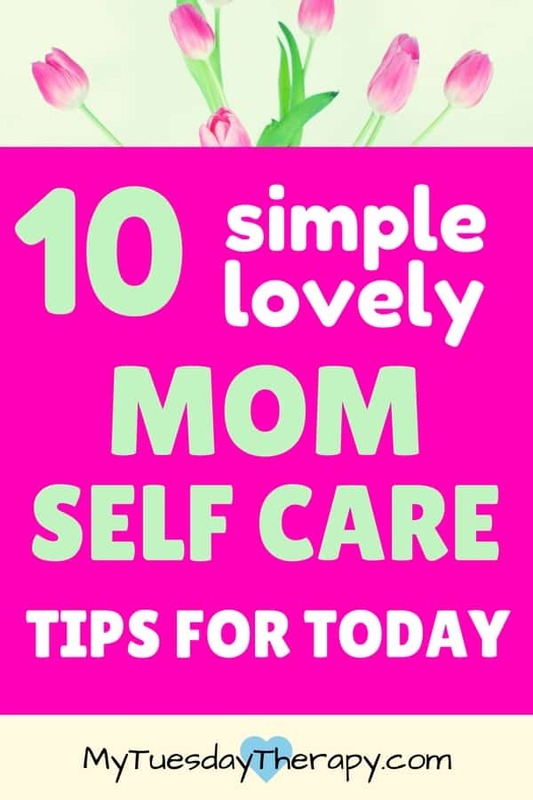 With small simple mom self care tips you can feel better, have more energy, and enjoy being a mom. 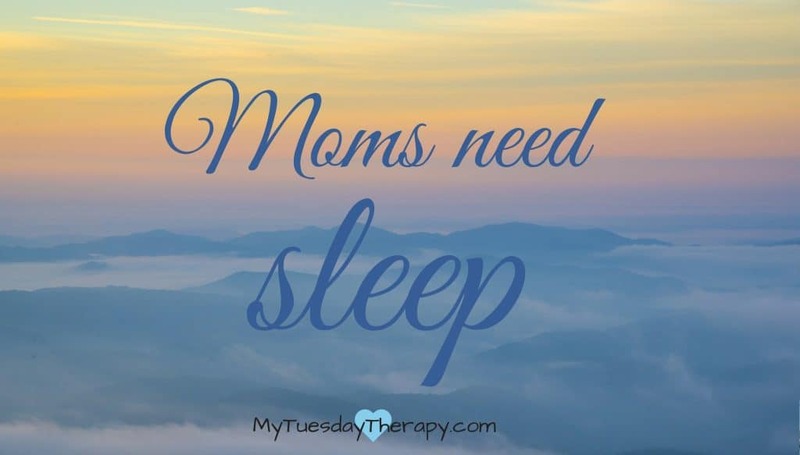 I know it can be hard to get enough sleep as a mom. When your kids are little the only time you might have to take care of yourself is after they go to bed. Older kids might need help with homework or rides to their hobbies etc. And there is always so much that needs to be done around the house too. While I realize that the alone time is super important to your wellbeing, getting enough sleep is vital. During sleep your body has a chance to heal and do some repair. That is also when your glymphatic system cleans the brain and your heart gets a rest. Sometimes we as moms think that everything else is more important than sleeping. I do wish I could get by with less sleep so I could have more active hours during the day. But I need 8-9 hours of sleep to feel good. Not getting enough sleep is a stressor and if you have too much chronic stress you can end in a quite unpleasant situation. How do I know… I went through it. I suffered from a stress induced syndrome that is called adrenal fatigue. Some like to call it HPA-axis dysfunction. If you would like to learn more about adrenal fatigue you can check out What Is Adrenal Fatigue. Create a routine that will help you to calm down and go to sleep faster. These are some Natural Sleep Techniques and Remedies that work for me. Here are some simple suggestions also on How to Get Your Child to Go to Sleep Without a Battle. I’m convinced that even the most extroverted mom needs some alone time. All of us need the moment when we do not have to be “on”. 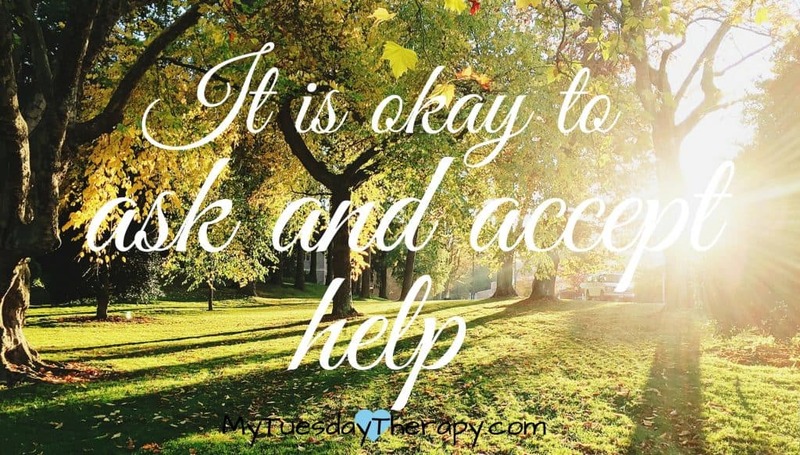 You can just quiet your mind and do something you enjoy or need to do without interruptions. It is easier to think and be productive when you are by yourself. Solitude also increases creativity and gives your brain a chance to unwind. This is also a great time pray and meditate. Alone time seems like a luxury some of us can’t have. Hopefully, your spouse spends time with the kids so you can have time for yourself. You could also hire a babysitter or mom’s helper, or take turns with another mom. Try to sneak those alone time moments in your day. This is especially important to stay-at-home-moms. When you are surrounded by kids and talking about hand washing, My Little Ponies, not picking nose, why this and why that etc. all day it is nice to have adult time with your friends. 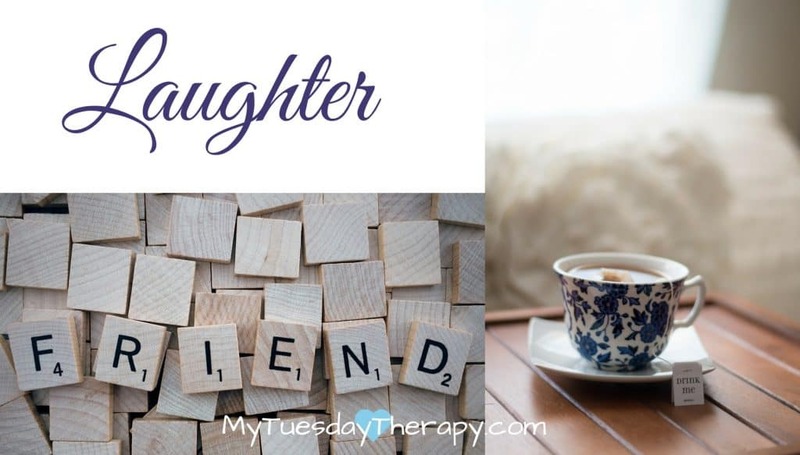 Connect with other moms. Schedule play dates, go to library story times, and parks so you can connect with other adults while your kids are busy playing. And it would be quite the treat to get together with friends without the kids. Teas have many health benefits. Include in your day a tea time. Maybe this could be during your alone time or adult time :). If your kids are older perhaps you can teach them that mom’s tea time is her time. Raspberry Leaf is referred as “the woman’s herb”. Raspberry Leaf Tea is also anti-inflammatory and antioxidant. Hibiscus tea is another awesome choice. It also is anti-inflammatory. It can give a boost to your immune system and metabolism. Children smile and laugh a lot. Join them. Enjoy their funny faces, jokes and stories. Read books or watch movies together that make you laugh. Get moving. You might say but I never get to sit down. That is so true. You are probably up and down all the time if you have small kids. And that’s good (unless you have severe exhaustion and moving around is making it worse). Dance, run, jump and roll in the grass with your children. Put your little one in the stroller and go for a walk. If you work outside the home. Try not to sit long periods at a time. If nothing else stand up every now and then. Maybe you can go for a walk during your lunch or coffee break. Exercise can improve your mood, boost your energy level and immune system. It can strengthen your muscles and bones. And it can even improve your memory! If exercise makes you feel worse you might want to read about Lifestyle Changes That Helped Me to Recover From Chronic Fatigue. I’m sure you have heard of the importance of gut health. As a mom the demands on you are high and a healthy gut can help you to deal with all the stuff that life throws at you. Healthy gut helps you to fight viruses and bacteria and prevents or reduces the cold symptoms and other infections. Good bacteria in the gut enhances nutrition absorption, balances hormones, stabilizes sugar levels, and boosts the immune system. 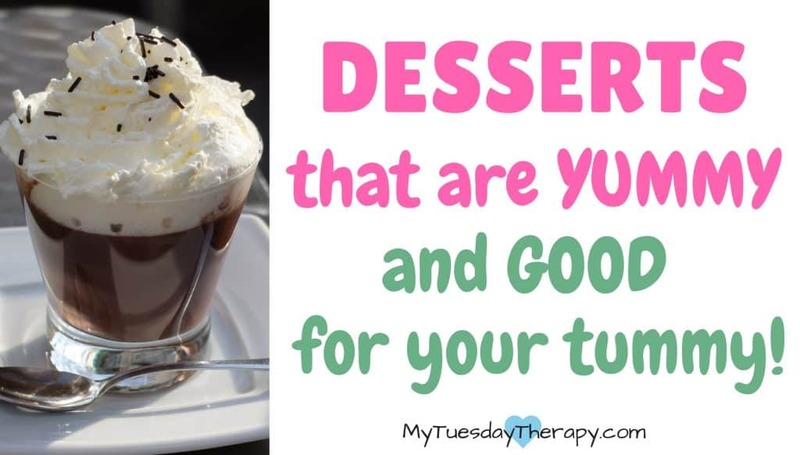 You can improve your gut health by enjoying these Gut Friendly Beverages and Smoothies or these Delicious Probiotic Desserts. I wrote an article about 4 Ways to Improve Your Gut Health that you might find beneficial. Learn to bring down the stress level with Simple Breathing Techniques. These breathing methods have helped me a lot over the years. It is important to let your body and mind relax and one way to accomplish that is by using various breathing and relaxation methods. Take moments throughout the day to concentrate on your breathing. These can be also useful at night when it is time to put the day’s activities behind and get some peaceful sleep. Hopefully you have a good support network. Don’t try to do it all by yourself if you don’t absolutely have to. Delegate chores to older kids and accept help if a friend offers it. Sometimes you just might have to lower your standards a tiny bit and not expect so much from yourself. It helps a lot to have a menu or meal options planned for a couple of weeks. Then you always know what you are making and what you need for it. You could add a couple of new recipes each time to your two week menu for a variety. Create routines. 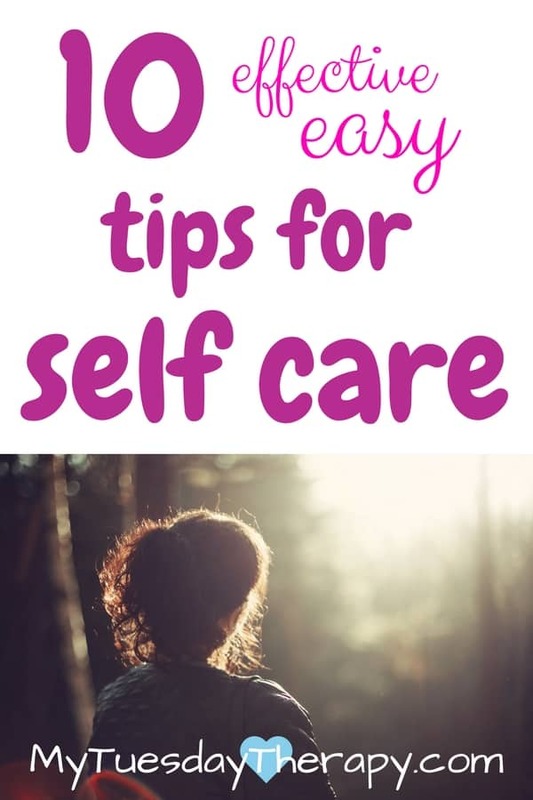 They do help you and the family accomplish more and to have more time for the self-care and fun stuff. By taking care of your marriage you take also care of yourself. Hangout with your spouse. Talk, laugh, and go for short romantic getaways. Motherhood can be demanding but it should be enjoyed. Take care of yourself. Sleep, smile, laugh, exercise, eat, relax, and all that good stuff.